The tories took a sledge-hammer to the fragile union of nations which we laughingly call the United Kingdom tonight. 312 of them trotted down the lobbies from the subsidised bars of the Palace of Westminster and drove a massive wedge between England and the rest of the UK. For now English MPs are more equal than any other MP. They have turned the elected MPs of Scotland, Wales and Northern Ireland into second class statespersons in the mother of all parliaments. They have politicised the neutrality of the Speaker of the House of Commons by making him decide whether a Bill, or parts of a bill, should be deemed as English only. But they have not bothered to put any procedures in place to aid the decision-making process. 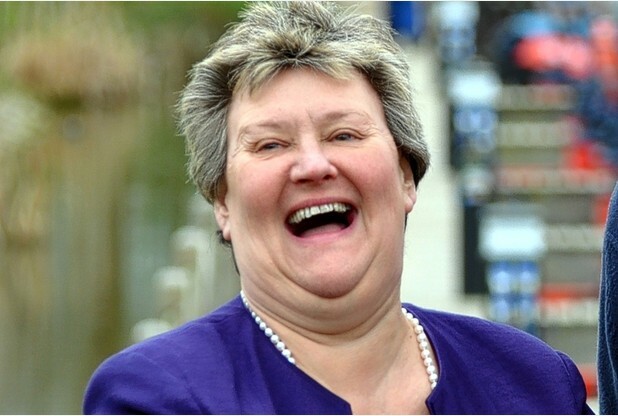 One tory MP, Heather Wheeler, even suggested that the SNP MPs “need to be on their planes back,” to Scotland. Which just goes to show the contempt that the tories hold for Scotland and our elected representatives. So now all of Scotland’s MPs are second class and a massive crack has appeared in the union. All because the tories don’t want to set up an English parliament. But why should they? 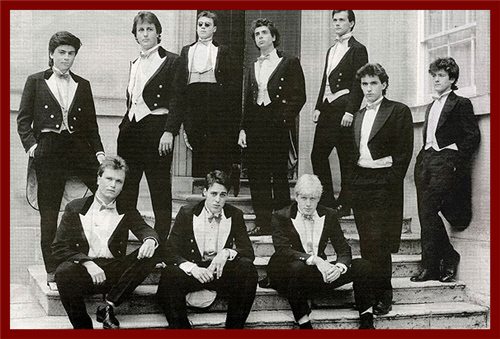 For they believe that Westminster is their parliament. There will be huge repercussions from this decision. The UK is crumbling before our very eyes and the tories laugh. Except for Fluffy of course, because he’s second class too. This entry was posted in UK and tagged EVEL, tories, UK on 22nd October 2015 by the45. The Act of Union of 1707 was the law which ended Scottish Independence and joined us to England from then until now. The law provides for a single parliament, Article 3 states: “THAT the United Kingdom of Great Britain be Represented by one and the same Parliament to be stiled The Parliament of Great Britain.” This we know of course and the single parliament has persisted until the present day. Now here lies a thorny issue, for any reduction in the rights, privileges or advantages of Scottish MPs in said “Parliament of Great Britain”, such as is proposed with EVEL, would be in direct contravention of the Act of Union. Any such reduction would therefore be illegal. 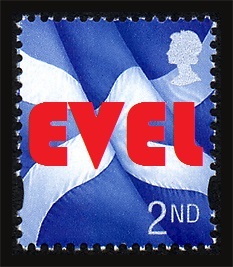 This entry was posted in EVEL and tagged EVEL on 6th February 2015 by the45. The funny thing about the question of English Votes for English Laws, a.k.a. EVEL, is that it is complete ruse on the part of David Cameron and his repulsive Tory party. Now I fully agree that if there is a devolution of power to the Scottish Government then there should be a corresponding devolution of the same powers to the other devolved assemblies. That would be fair wouldn’t it? But the English do not have a devolved assembly, they have the Westminster Parliament which they believe is the parliament of England. That is true, but it is also the parliament of the UK and what goes on in that parliament affects the whole of the UK. Of course our Prime Minister is fully aware of this, what he wants from EVEL is a complete muzzling of the Labour party who derived a large proportion of their strength from Scotland and Wales (40 & 26 respectively). EVEL would also restrain the effects of SNP MPs in Westminster if, as seems almost certain, a large rump of SNP MPs are elected in GE2015. So EVEL seems like a win/win for our illustrious leader. But here’s a thing. Due to the Barnett formula, funding of the devolved insitutions in Scotland, Wales and Northern Ireland is dependent upon how much money is spent on public services in England. Now this is a bit crap because if the English Government (which one is that?) decides to reduce funding to the NHS then the funding to the devolved administrations would also be reduced. So there is no such thing as an English Government, there is only an UK Government. Which means that there is no such thing as the West Lothian Question because all decisions taken in the UK parliament affect the whole of the UK. It’s in the name. So what’s to be done? I believe that all Westminster MPs should be involved in making all decisions in the UK parliament since all decisions made there affect the whole of the UK, that’s the answer to the West Lothian Question. The only fair solution to the conundrum is to set up an English parliament, separate and distinct from Westminster. Then give each devolved parliament exactly the same powers. This solution would be known as Federalism. Anything else is unfair to all the people of the UK. This entry was posted in EVEL and tagged devolution, EVEL, Scottish Parliament, UK government, West Lothian Question on 28th November 2014 by the45.